Making your own chocolate is a healthier and more delicious alternative to store-bought chocolate. By using minimal heat to make the chocolate, you preserve all the nutrients found in raw cacao powder. Raw cacao has one of the highest antioxidant levels of any food and is also a good source of magnesium, iron, zinc and more. Cacao may also have beneficial effects on cardiovascular health and depression. 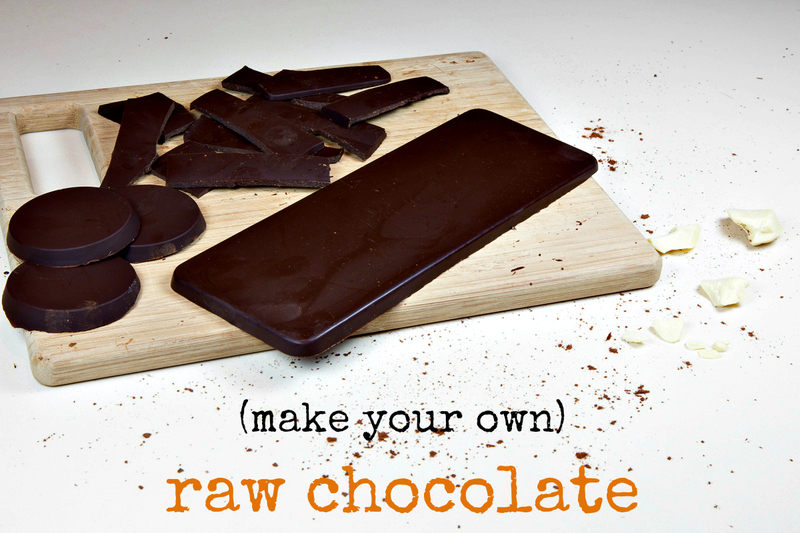 Oh, and in addition to being a much healthier option, this raw chocolate tastes AMAZING. Seriously, you won’t want to go back to store-bought chocolate after being able to make your own so quickly and easily! And just to show you how easy it is, I made this short video of a basic chocolate recipe. Once you have created this base, you can customize it with any taste you want – or just eat it plain to get all the taste of the cacao. Melt the cacao butter in a double boiler until it melts. Water should be hot but not boiling. Cacao butter melts at about 32 degrees Celsius and nutrients are preserved up until 48 degrees Celsius. Chop the cacao butter into smaller pieces if you want it to melt faster. Pour into a bowl and sift the cacao powder into the mixture. Add the sweetener and stir until everything is incorporated. Add the salt and any extra taste you are using and stir until the mixture is smooth. Pour the mix into silicone moulds or anything made of paper – you can use cupcake papers as well. If you have a silicone cake pan, you can use that to create a chocolate bar. 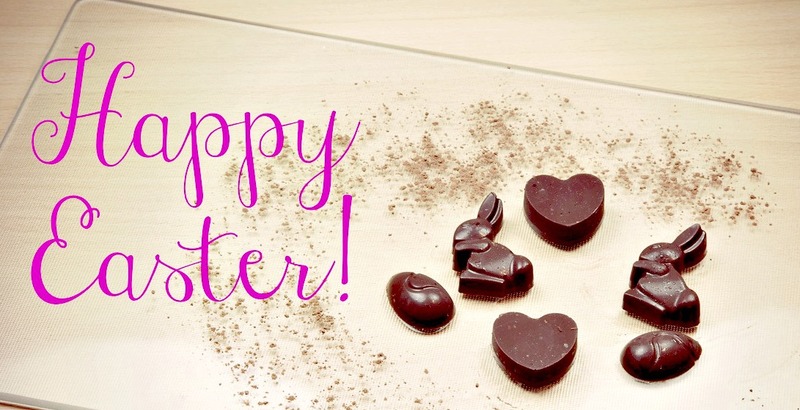 Place the chocolate in the fridge for at least 10 minutes until it is set. The chocolates can then be removed from the forms and stored in a sealed container in the fridge. You can add anything you want to your chocolate such as essential oils like mint or lavender, lemon, lime or orange zest, rose water, nuts, coconut, grilled sesame seeds, goji berries or anything else you fancy. You can find cacao butter, raw cacao powder and coconut sugar in most organic stores. I usually buy them online on www.iherb.com. You can use code WIV403 to get up to $10 off your first order. I buy coconut sugar from Sagana, a Swiss-based company that works directly with farmers in the Philippines to provide a fair livelihood.